On Friday, PlayStation declared an end to a recent tradition, officially stating that there would be no PlayStation Experience for 2018. The announcement means more than a convention suddenly coming off the annual calendar. PlayStation Experience was also home to various game announcements and trailers, which perfectly slotted into the December month, roughly six months after/before E3. 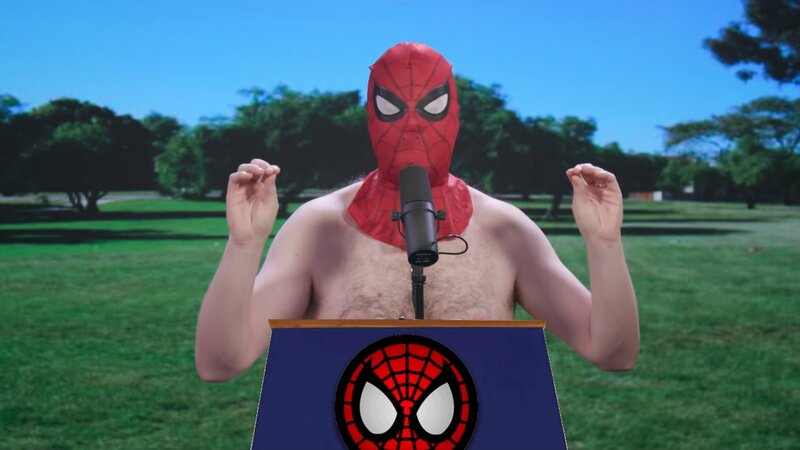 But not one to let the hype simply die, Kinda Funny Games founder and shirtless Spider-Man Greg Miller seeks to fill the void himself. Shawn Layden has confirmed on the PlayStation Blogcast that there's no PSX this year. So, Kinda Funny will fill the void and hold a Press Conference the Saturday after the Game Awards. Miller stated on Friday afternoon that Kinda Funny is seeking to hold a special Kinda Funny Games Showcase on December 8, one night after the Game Awards. The Saturday presentation will host one giant sizzle reel of various trailers and announcements, with Miller leaving an open call for developers and publishers to submit their best reveals. This is not restricted to PlayStation games, as PSX normally would, but given Miller's professional relationship with Sony's Shuhei Yoshida, a PlayStation announcement or two would not be completely out of the realm of possibility. More than a few studios are looking to take advantage of this opportunity. Devolver Digital, Kitfox Games, Versus Evil, 6foot Games, and AbleGamers are among those that have expressed interest in being a part of this in some capacity. Nothing has been confirmed yet, but Miller seems to be very serious about this endeavor and the gaming world looks to be taking him up on it. Stay tuned as updates come in and, apparently, stay tuned for December 8, when a slew of fresh announcements will flood the gaming world.